During his visit to Kiev for celebrations of Ukraine's Independence Day on Thursday, US Secretary of Defense James Mattis said that the US was "actively reviewing" the supply of "defensive lethal weapons" to Ukraine. Ukrainian and Russian observers told Sputnik the move would have disastrous prospects, not just for Kiev, but for Washington as well. Speaking to reporters at his joint press conference with President Petro Poroshenko, Mattis said that the US would continue to provide Ukraine with defensive support, and is considering Kiev's request for the supply of lethal weapons. The Pentagon chief added that he would submit concrete recommendations on Ukrainian policy to the White House on his return to Washington. Russian officials responded to Mattis' remarks by urging restraint, saying that the delivery of US weapons to Ukraine was "inappropriate" in light of a new ceasefire which took effect in the war-torn Donbass region on Friday. Russian Trilateral Contact Group on Ukraine envoy Boris Gryzlov emphasized that Kiev's reiteration of its desire to acquire lethal weapons "will undoubtedly be perceived in Donbass as a very bad, threatening signal." Alexander Zakharchenko, the head of the self-proclaimed Donetsk People's Republic, confirmed that the supply of US lethal weapons would almost certainly result in an escalation of the conflict. "As soon as Ukraine receives lethal weapons, an armed conflict would automatically be unleashed," Zakharchenko warned, speaking to reporters Thursday. In recent weeks, US officials have floated Javelin anti-tank missiles and anti-aircraft weapons among the kinds of "defensive" weapons that the US may send Kiev. At his press conference, Mattis confirmed that the US has already agreed to supply the country with an additional $175 million worth of non-lethal equipment and supplies, for a total of $750 million over the last three years. Asked to comment on the allotted $175 million, and the possible supply of lethal weapons, Ukrainian politician and former Rada MP Alexander Golub told Sputnik that Washington is taking another step in adding fuel to the fire of the conflict in the Donbass. "It's very symbolic that the statement about the supply of new weapons was made during the so-called 'harvest ceasefire' and the announcement of a 'back to school' ceasefire," Golub said. "As for the rearmament of the Ukrainian army, $175 million is a paltry sum, and can't solve even a tenth of its problems. It's another matter, however, that these weapons can 'pour fuel on the fire'" of the conflict, leading to its escalation, he added. "I think that those forces in Washington looking to use Ukraine as an 'anti-Russia', and who have been trying to drag the country into an open armed conflict with Moscow, have not abandoned their plans. Moreover, they have decided to back these plans with concrete actions. The supply of $175 million in military equipment is a step toward inciting such a conflict," Golub warned. For his part, Alexander Mikhailov, a member of Russia's Council on Foreign and Defense Policy, an influential Moscow-based think tank, said that by continuing to push the US to supply it with advanced weapons, Ukraine was driving itself into a trap and provoking Russia to respond. "Russia will respond in an adequate manner," Mikhailov explained. "So long as Ukraine does not have modern foreign weapons, its strategic objects and settlements are out of the field of view of the Russian General Staff and our Strategic Missile Forces. Once weapons appear in the country that can pose a threat to Russia, Moscow can change its targeting parameters, putting Ukraine into the line of sight for our missiles…And if a powerful military formation is created, we will bring the corresponding forces to full combat readiness to repel any possible attacks." Dmitri Litovkin, military expert and retired Navy captain, told Sputnik that with any luck, the recent scandal surrounding Ukraine's involvement in the North Korean missile program will make Washington think twice about supplying Kiev with advanced lethal weaponry. "Will the Americans supply weapons to Ukraine? I believe that they won't, because Ukraine is a very unreliable partner," the observer said. "We recently learned that Kiev participated in the development of the North Korean missile program, which today poses a direct threat to the United States. It's also known that Kiev has always played a major role on the global 'gray market' for weapons, supplying arms and equipment to military conflict zones where UN resolutions and other international agreements prohibit it. In other words, Kiev can always dispose of these weapons in ways the US may not expect." The intercontinental ballistic missile Hwasong-14 is seen in this undated photo released by North Korea's Korean Central News Agency (KCNA) in Pyongyang July 5, 2017. 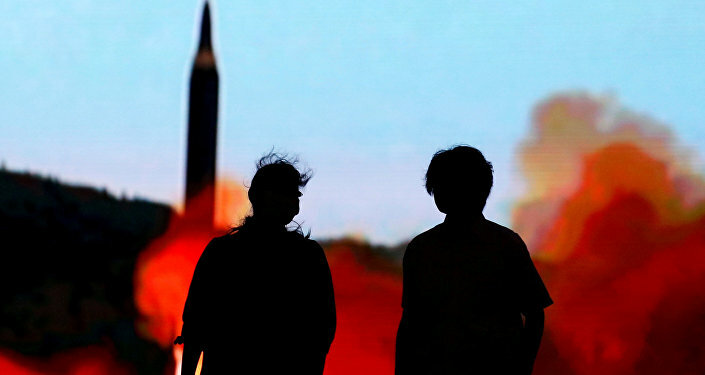 Earlier this month, intelligence experts said they believed Ukrainian aerospace companies may have engaged in the transfer of missile technology to Pyongyang. As for the mentioned $175 million in non-lethal aid, Litovkin stressed that here the nominal cost of US equipment should be taken into account. "To get an understanding of whether this is a lot or a little, it's worth recalling that the three radars delivered to Ukraine previously to help determine sources of artillery fire cost $180 million. In other words, this is all just…a political declaration about 'support for Ukraine'." 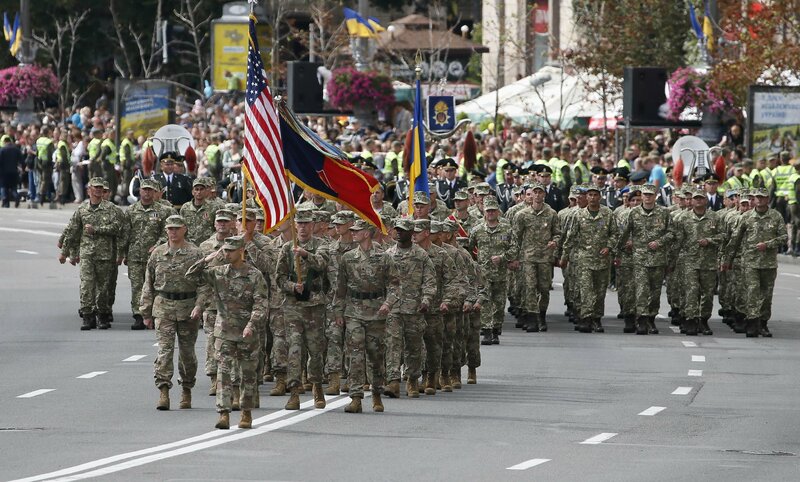 Finally, Vladimir Oleynik, co-founder of the Ukraine Salvation Committee, said that even US weapons may not be enough to resolve the conflict in Kiev's favor, because Ukrainians are sick of the war. 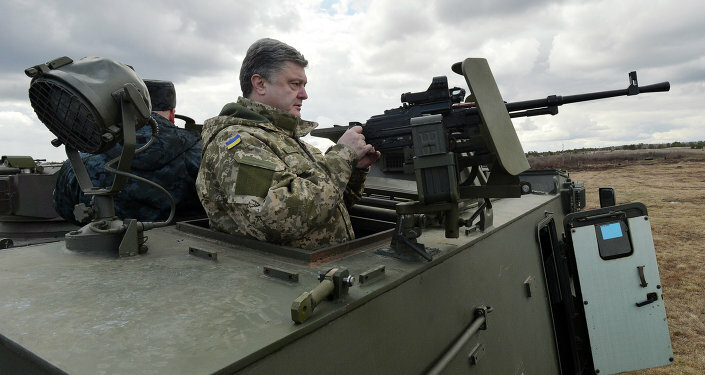 "Will the Ukrainian armed forces be able to use these weapons? This is a serious question," the politician said. "They may receive the weapons, but Ukrainians don't want to carry on fighting anymore. Look at the situation. Seven mobilizations have been carried out, and conscripts continue to flee from them. People understand what they are being asked to die for – not for their country, but for oligarchs. They are not ready to kill each other so that Mr. Poroshenko can get even richer. And weapons without people to man them are useless." Kiev has been conducting a military operation in Ukraine's southeast since April 2014, after local residents refused to recognize the new government following the February 2014 Maidan coup. In February 2015, Russia, Germany and France helped facilitate a ceasefire deal between Kiev forces and local militia. Since then, the ceasefire has generally held, although both sides regularly accuse one another of violating the deal.